Last nights dreams were merely horrors. Brother was at war, a proud soldier looking after his men with every fiber of his being. And I was there. In dusty streets, filled with darkness, death lurking on every corner if only you were to go knocking. He kept me safe. He kept us all safe. But I found myself alone in an old shop, when a girl walked inside, smiling. The sun had already set and strange men were watching us from across the street. I forget the words we exchanged, but suddenly it was as if she were one of my men and I was to look after her now that brother had gone. Fear was replaced with the mission at hand. But brother came back. Somewhere in the dream they were about to take us. Bullets buzzing over our heads and somehow two teeth fell out of my little mouth. Teeth? How odd. All I know is brother kept me safe and I was scared. The fight to stay alive made us strong. 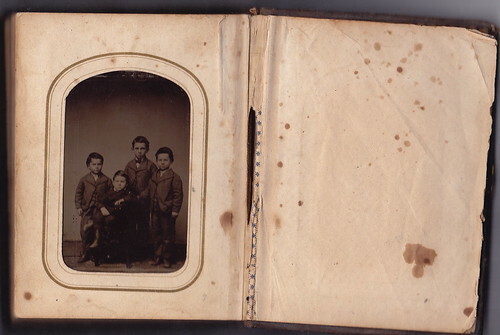 Photos: These are scans of a little album brother found in an antique shop in Tennessee, on the square in the town where mother grew up. He was a young boy at the time and his face lit up at the sight of it. 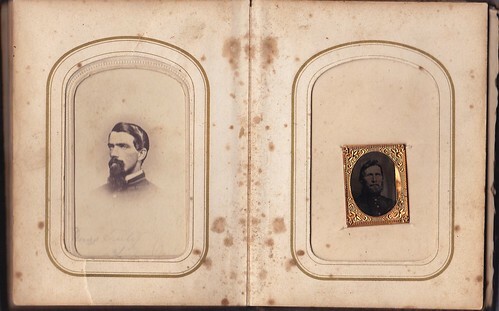 He bought the album for $10 and it holds pictures of men from the Civil War and what I can only assume is their family. Q: What was your last dream? 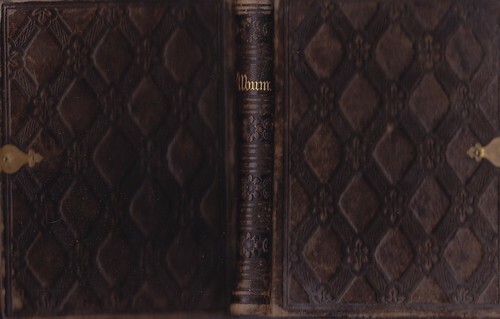 Posted in "childhood", "dreams", "life"